The 16th Annual Tribeca Film Festival announced the top winners in all five feature categories were presented to women-directed films, including Keep the Change (Best U.S. Narrative) Son of Sofia (Best International Narrative) and Bobbi Jene (Best Documentary). 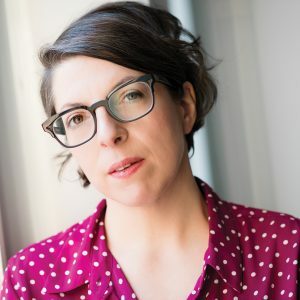 The festival, which runs through April 30, also awarded the 5th Annual Nora Ephron Prize to Petra Volpe, writer and director of The Divine Order . Best New Narrative Director – Keep the Change, written and directed by Rachel Israel (US). The New York City romantic comedy is the unlikely love story of two people who meet in a support group. Jurors Bryan Buckley, Clea Duvall, and Michael Pitt agreed Israel “created a world full of vibrant characters often under-represented in cinema. It is a unique, yet universal love story told in a way we’ve never seen. We anxiously await to see what this filmmaker does next.” Winner receives $10,000 sponsored by Netflix, and the art award “Veridical” by Jorge Pardo. Best International Narrative Feature – Son of Sofia, written and directed by Elina Psykou (Greece, Bulgaria, France). Eleven-year-old Misha comes from Russia to Athens during the 2004 Olympic Games to live with his mother, not knowing his father is waiting for him. Jurors Willem Dafoe, Peter Fonda, Tavi Gevinson, Alessandro Nivola and Ruth Wilson unanimously agreed the film challenged them in a new way, “We were seduced by the surprising humanity of its difficult characters. The direction was assured, and its tone unique and we look forward to seeing Elina Psykou's next work. Winner receives $20,000, sponsored by Netflix, and the art award “Study for La Brea” by Walton Ford. 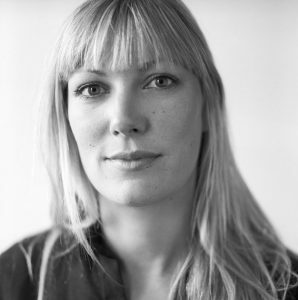 Best Documentary Feature – Bobbi Jene, directed by Elvira Lind (USA, Denmark, Israel). The love story portrays the dilemmas and inevitable consequences of ambition; a film about a woman's fight for independence and success with her own art in the extremely competitive world of dance. Jurors R.J. Cutler, Alma Har’el, Barbara Kopple, Anne Thompson and David Wilson called it an “exquisite blend of emotional depth and rigorous craft.” They agreed, “Fulfilling the promise of classic cinema verite, where camera serves as both observer and provocation, this film connected two artists, filmmaker and subject, pushing nonfiction intimacy to bold new places. Our winner documents the deeply personal process of a brilliant woman finding her voice - paired with a director whose own artistic vision dances elegantly with that of her subject.” Winner receives $20,000, sponsored by Netflix, and the art award “The Reaper” by Sterling Ruby. 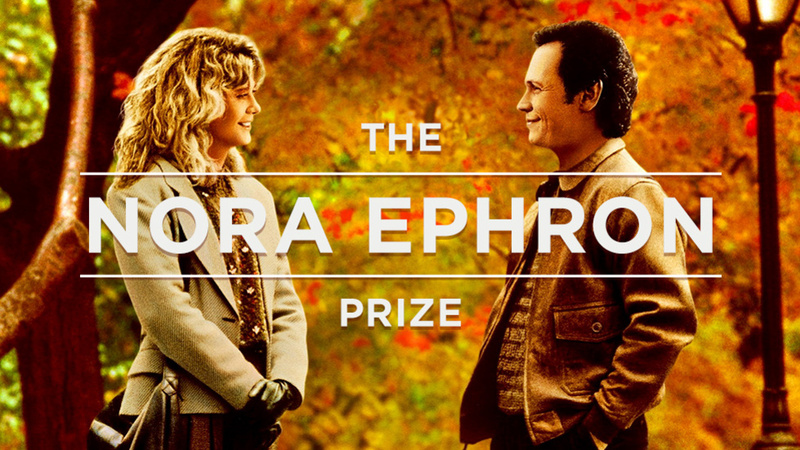 The Nora Ephron Prize: Petra Volpe, writer/director of The Divine Order (Switzerland). Set in 1970s Switzerland, the film tells the story of Nora, a young housewife and mother who campaigns publicly and pugnaciously for women's right to vote. Jurors Dianna Agron, Joy Bryant, Diane Lane, Zoe Lister-Jones and Christina Ricci awarded the film for its “intrepid and compassionate storytelling, beautiful cinematography (by a woman), complex characterization of the female experience, seamless navigation of both drama and comedy and true embodiment of the personal being political.” Winner receives $25,000, sponsored by CHANEL and the art award “Fashion Voodoo 3” by Aurel Schmidt. Student Visionary Award – Fry Day, short directed by Laura Moss (US). The film is a coming-of-age story set against the backdrop of Ted Bundy's execution in 1989. Jurors Priyanka Chopra, Olivia Thirlby, Ryan Eggold, Brendan Fraser and Ileen Gallagher awarded Moss for “balancing an immersive coming of age experience with relevant social commentary in a historically specific context,” also noting the compelling performances and expert filmmaking. Winner receives $5,000 sponsored by Nutella. The Founders Award for Best Narrative Feature – Keep the Change, written and directed by Rachel Israel. “For her heartwarming, hilarious and consistently surprising reinvention of the New York romantic comedy, which opens a door to a world of vibrant characters not commonly seen on film.” Winner receives $20,000, sponsored by AT&T and the art award “Untitled” by Ella Kruglyanskaya. Best Actress in a U.S. Narrative Feature Film – Nadia Alexander in Blame. “For her powerful, multilayered and risky portrayal of a troubled teenager in Quinn Shepard’s accomplished directorial debut Blame, the award for Best Actress goes to Nadia Alexander.” The award was given by Denis O’Hare.